This is an ongoing work in progress. It is a collaborative effort between the author and all those who have come in contact with him throughout his life (and who care to contribute to the story). It may be worth mentioning, however, that all contributions are filtered and edited by the author's own sense of narcissism. At the end of the story you will find a text-entry widget. If you have come in contact with the author at some point throughout your life, you are encouraged to relate your perspective on the window(s) the author's life which you have observed. As Morgan Freeman is currently occupied with other humanitarian endeavours, we ask that the reader take it upon the reader's self to mentally narrate the story that follows in Morgan Freeman's voice of their own accord. On an early morning in Brampton, Ontario, M. Scott Johnstone was born into this world. The date was auspicious, August 13th, 1980, and on this day Scott's first appearance brought forth the coming of a new era. His mere existence helped instill in his parents the good sense to move from the hustle and bustle of rural Ontario life to the cultural and environmental Mecca that is Victoria, British Columbia. Scott's early years were spent playing in the sun and shade of the townhouse community on Panther Street. Many Go-Bots and Transformers were transformed, and every day a variety of He-Man and Rambo action figures would triumph over the evil forces of Skeletor and other nefarious bad-guys. A number of LEGO blocks and Tinker Toys later, Scott's family moved to a house on San Lorenzo Avenue, where Scott would be destined to meet one of his life-long friends, Nev Gibson. This friendship would later prove to be the cause of an unending amount of stress and torment to both their parents, as Scott and Nev spent almost every waking hour conspiring to develop schemes to trap, injure, or otherwise defeat their parents. The two boys never thought so far ahead as to plan what to do once such a victory had been achieved, but they were nevertheless intent on seeing their evil plans come to fruition. The only thing that stood between them and total victory was a veritable cornucopia of distractions such as computer games, hornet's nests, and simply playing with the garden hose. It was around this time that Scott was enrolled in piano lessons, and at the same time was also enrolled in French Immersion at Campus View Elementary School, where he gained a broad understanding of language fundamentals – not just English and French, but the schema of language in general. This was instrumental in his development with regards to the spoken languages of human tongue, the unspoken languages of programming, and the outspoken languages of music and art. In his fourth year of tutelage at Campus View Elementary School, our intrepid hero found himself yearning to find distinction among his fellow classmates and social peers. It was in consideration of this yearning that the decision was made to transform the bland and run-of-the-mill arrangement of follicle by-products growing from his scalp into something that would be held in infamy for years to come; this era would be recorded in history as the month when Scott sported a mohawk. It was during these early developmental years when a Japanese company which would later become an entertainment giant was only just beginning to find its footing in the North American marketplace. 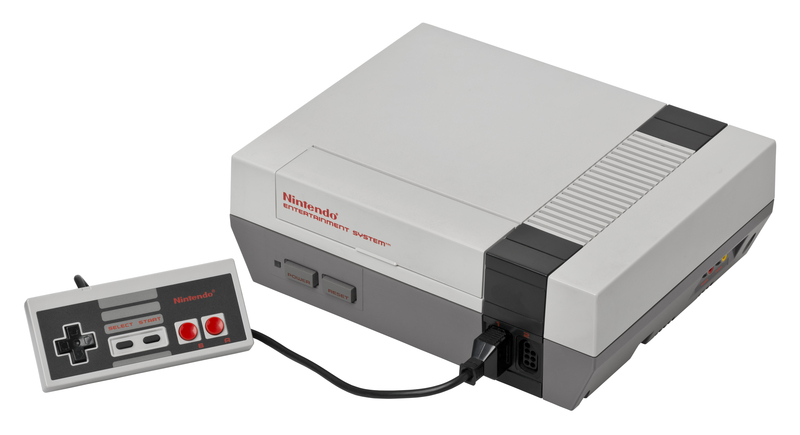 This company produced an electronic gaming device called Nintendo, and that device would prove to be a fundamental platform which shaped the course of Scott's weekends for years to come. In the Gregorian calendar year of one thousand, nine hundred and ninety-three, Scott progressed from elementary school into the intimidating new world of Cedar Hill Junior Secondary School. Armed with a thorough understanding of the French language, Scott was able to bypass the eight-grade French class in his junior high and he progressed directly to the ninth-grade French class where his friend Yousuf Mohammed had already established a foothold in the precarious landscape which made up the junior high social scene. Scott found himself immediately welcomed into an environment of fun and excitement, spending his afternoons in French class not studying French, but rather taking up arms as a soldier in the covert war which took place behind the teacher's back at each and every moment the teacher had her attention focused on writing grammar lessons on the chalk board. This covert war could only be described as a campaign of attrition, with officers and soldiers on both sides of the classroom beleaguered by a prolonged onslaught of paper darts launched by elastics from the opposing forces at every opportunity. Each day fresh soldiers would dig into their fox-holes, using their binders as armor, and when the bell rang at the end of class not a single warrior was left alive on the battlefield (as they had all skipped out to buy brownies from the vending machine before trundling off to their next classes). Being blessed with this camaraderie among the ninth-graders (the established middle-class of the junior high) Scott found himself in a unique position to help his elementary school classmates who had been having trouble acclimating themselves in the rugged new environment of junior high. Acting as a nexus between the established social order and the awkward newcomers would prove to be an ongoing theme which carried itself forward throughout Scott's life. And so it was that the precession of the Equinoxes did bring about continued growth, and this inevitable growth did lead to our intrepid hero once again taking flight from the stomping grounds he had made his own, so as to explore the brave and challenging world of Mount Douglas Senior Secondary School. In this new venue of social and mental development, Scott gravitated quickly toward two areas which would occupy the lion's share of his time at the establishment; Mr. Penner's computer lab, where he would spend endless hours developing HyperCard programming challenges with his friend Quy Gnuyen, and in Mr. Hannay's physics classroom, where he found solace in the freakishly tall film-makers fellowship with young enthusiasts Jeremy Lutter and Ben Rollo. This was a very interesting period in Scott's life, as he had recently earned his driver's license and was now a member of the upwardly mobile teenage hooligan class. This increased mobility allowed Scott to begin leading a double life, engaging in theatrical projects with his film-making friends in the Gordon Head municipality by day, as well as being involved in all manner of late-night shenanigans in the Glanford/Colquitz municipality with his alternative circle of friends which he had cultivated via his childhood friend Nev, whose family had moved into that region. That circle of friends in the Glanford/Colquitz region acted as a melting pot which culminated in the formation of a band of brothers which would later come to be known as one of the most nefarious bands of adolescent nogoodniks ever to sully the annals of history. This outrageous group of miscreants branded themselves "The B-Team" and their exploits would be remembered as some of the zaniest hijinks ever to have ensued in the dark streets of this small town community. It was the closeness Scott felt with his camerades in the Glanford region which inspired him to convince his parents that it would be in his best interest to transfer him from Mount Douglas Senior Secondary School to Spectrum Community School, under the guise of wanting to pursue Spectrum's Video Arts program. There he would forge an alliance with his B-Team cohorts which would later come to be the cause of boundless antics and tomfoolery, the likes of which could never be published on such a public biography as this. Disenfranchised with the scope of reality which had been set before him, Scott had entered a precarious stage of development in his life. Faced with the options of continuing his education at the cost of accepting crippling debt or going straight into the work-force and accepting a lower ceiling of potential achievement, Scott chose instead a third option – he decided to go into business for himself. Having been introduced to the friendly community of cannabis advocates and distributors in downtown Victoria, Scott saw an opportunity to become involved in the anti-prohibition movement at an early stage (and to make a respectable profit while doing it). Scott spent a number of years helping the cannabis community overcome the century-old stigma that had been erroneously spread throughout North America as a result of corrupt political propaganda campaigns, and eventually became involved with the Cannabis Buyers Clubs of Canada. He quickly became a fixture within the CBCoC and helped his friend and mentor Ted Smith grow the dispensary into a commercial-scale enterprise, expanding its reach from helping hundreds to thousands of chronically ill Victoria residents in need of care. It was at the Cannabis Buyers Club that Scott met a young woman named Tara Elson, who would later become his wife and the mother of his two sons. While working with the anti-prohibition movement, Scott began developing a musical career as a DJ, using the monker inhaler. He produced a series of mixset CDs and released his debut album, "Syntax Error" in the Gregorian calendar year of two thousand and two. This was a tumultuous time in the anti-prohibition movement, and community activism was not without risk. In this same Gregorian calendar year of two thousand and two, the Victoria Police Department conducted a search-and-seizure operation at the Cannabis Buyers Club, during which Scott was arrested and charged with Possession of a controlled substance for the purpose of tafficking. Mercifully, the law enforcement climate in Victoria was much more enlightened than that of other regions of North America at that time, and Scott spent only one night in a holding cell before being released to await his trial. When the case was put before a judge, the judge rightfully dismissed the case in the interest of the community and Scott was once again a free man. This result was a great relief to Scott and his family, not only for the sake of his own freedom, but also because he had recently found out that he would soon become the father of his first child. No longer involved with the Cannabis Buyers Club and the anti-prohibition movement, and with a child on the way, Scott found himself at a crossroad and enrolled in an associate degree program at CDI College to become a Network Administrator, intent on developing a future in the IT industry which was beginning to emerge as the latest prominent field. After completing his education at the top of his class and earning his associate's degree four months ahead of schedule, he was ready to enter the field and begin his career. Unfortunately, the reality became clear that there was still not yet enough growth in the IT industry in Victoria at that time for Scott to find a foothold, so he spent the next few years trying his best to make ends meet, fixing computers for anyone who needed his services under the banner of Alliance Consulting. With little work and an infant son, Scott found himself in need of supplementary income. Resilient in spirit and resourceful in nature, he once again went about creating a new business to help support his new family – a private cannabis dispensary, offering the highest quality products to a select group of Victoria's elite socialites. Tensions between Scott and his wife Tara became such that they chose to separate and eventually they divorced, after having conceived their second child. Given the still-precarious nature of cannabis prohibition at that time, they agreed that the children would live with their mother and visit with Scott on weekends. M. Scott Johnstone had been living in an apartment, managing his two companies for a few months, when an old flame came back into his life; a young firecracker named Maria, who then became the greatest love he would come to know in his lifetime. Scott and Maria quickly created a harmony together, enabling Scott to resume producing music as inhaler, and when he wasn't occupied with running his computer support business and his private cannabis dispensary, he would most often be found in his basement studio, practising the art of mixology and developing original material. It was during this period that Scott began performing at events such as the Diversity Music Festival, and in the Gregorian calendar year of two thousand and five he released his second album, "Dirty Sounds of the Underground". All was progressing well for Scott until one fateful day when a failed robbery attempt at his dispensary office drew the Victoria Police Department onto the scene to investigate. Still considered technically not legal, Scott's cannabis dispensary was closed down and Scott was once again thrust into the ambiguity of dharmic upheaval. With the dispensary closed and with the paltry income from Alliance Consulting not being enough to support himself, Scott chose to take a position as a sub-contractor for Geeks On The Way, a Canada-wide home PC service company. Acting as the first Geeks On The Way technician to service the Victoria, BC area, Scott developed a strong reputation for excellent customer service, but it wasn't long before he began to feel as though he had progressed as far as he could in the home PC service trade, and he aspired to climb the proverbial ladder of the IT industry. It was this aspiration that led him to venture into the realm of corporate Information Technology. He found a position as an IT Generalist with Aviawest Resorts where he gained a thorough understanding of enterprise-level networking concepts and Linux system administration, and he helped to implement and administrate the IT infrastructures in such luxury resorts as The Parkside Hotel & Spa and The Pacific Shores Resort & Spa. After having developed his skillset in enterprise-level network administration, and always having been most comfortable when in control of his own destiny, Scott once again set out to further develop his own business. He re-branded Alliance Consulting as NetworkSense Consulting and shifted its focus from in-home PC support to corporate system and network support. An immediate success, NetworkSense Consulting helped numerous Victoria businesses grow their IT infrastructure from small-business models to enterprise platforms, and helped already-established corporate enterprises move their existing infrastructures onto the newly emerging cloud frontier. In the Gregorian calendar year of two thousand and ten, NetworkSense Consulting expanded to take on three sub-contractors; a PHP and MySQL specialist, an SEO specialist, and a Web & Graphic Design specialist, so as to grow its reach from the local business pool to the global marketplace. NetworkSense began fielding remote cloud-based server administration contracts from the US, the UK, Europe, Australia, and numerous other countries world-wide. While the success of international expansion helped to keep a roof over his head, Scott's passion was still in the realm of music and entertainment. In the Gregorian calendar year of two thousand and twelve he released a third original album under the inhaler moniker, titled "Like A Boss". In the late months of the Gregorian calendar year of two thousand and thirteen, our intrepid hero was imbued with inspiration to verge out of the realm of electronic music production and into the dangerous domain of live performance. With this in mind he assembled a troupe of talented musicians to form a good old-fashioned rock'n'roll band. As a tip of the hat to the enlightened souls who inspired these raucous gandharvas, they called themselves Illuminaughty. Even now this ensemble of miscreants is actively toiling away to create a new breed of rock'n'roll rebel, a strange new monster to rattle the cage of society and remind everyone that we're all here to have a good time. They have yet to produce their debut album, but when it becomes available you better believe this Morgan Freeman voice is going to love it. © 2019 Scott Johnstone, all rights reserved.